Genoa, Nev. — One person was killed in a head-on collision on Highway 395 along Topaz Lake. The collision was first reported involving a pickup and a sport utility vehicle at 3:34 p.m. Saturday near Topaz Lake. 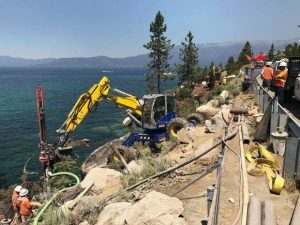 The southbound lanes were blocked and Mono County authorities sought help from East Fork firefighters for one person reported pinned in the wreckage. A second victim was transported by ambulance to Holbrook Junction to be taken to Renown Regional Medical Center. Vehicles are being towed to Bridgeport.